Firenze Card is Worth It? Florence, or "the Renaissance City", is a destination featuring many attractions and interesting guided tours. Galleries Uffizi and Academia and the cathedral topped by the iconic dome are top points of interest, but there is much more to see in Florence. So, if you come to the Renaissance City to explore, either one of available city passes can help you to save a lot of money and time in the process. Both city cards offer significant savings. The only question is which one of them serves your purposes better. Besides city cards, we have also elaborated top attractions and why you should take an interest in them. Therefore, get informed, choose the card (links are provided) that is more suitable for you and enjoy Florence. Why is it suitable for me? 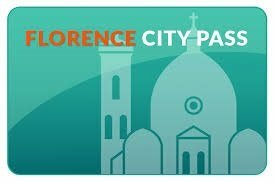 Where to Buy Florence City Pass? We are comparing the Florence City Passes Prices from leading online Tours and Ticket suppliers Tiqets, Viator, GetYourGuide & TicketBar, try to find you cheap tickets prices on the market. Where to Buy Firenzecard Pass? Experience the city of Florence with the official Firenze card with a map in hand to guide you through the over 70 museums and top attractions. You get to visit the free museums in 72 hours, no waiting, no reservation! Explore the worlds famous Galleria dell'Academia, marvel at the artworks of Rembrandt, Dürer, Goya, and Rubens at the Galleria degli Uffizi while also seeing the beautiful Palazzo Vecchio Museum, the symbol of Florence and the town hall. Enjoy great access to almost all of Florence's collection of museums, attractions and more with the Florence Card. With a 72-hour Firenze Card, you get to skip the line at some of the busiest attractions museums and more such as the Accademia Gallery and Uffizi, including many others. See special exhibits and collections without stress as the card is delivered to your hotel concierge. Get access to over 72 museums with the Florence Card in 72 hours. The card grants you entry to special exhibitions, permanent exhibits at museums, palaces, and churches. Get you Firenze card delivered directly to your hotel concierge. The Firenze card is valid for 72 hours. You get a complimentary walking tour with a map guide to find your way around the city on foot. 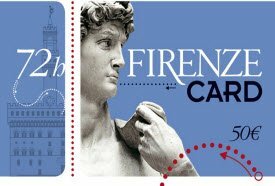 With the Firenze Card ticket, you get special discounts and offers on your ticket. How Much is a 1/2/3 Day Firenze Card? Note: Children under 17 years are allowed access at some museums in Florence, where they are not allowed, parents need the Firenze Card to let them through. Where to Buy Firenze Card Tickets? We are comparing the Florence City Passes Prices from leading online Tours and Ticket suppliers. Museum of Palazzo Vecchio, Stefano Bardini Museum, Palazzo Medici Riccardi, Fondazione, Palazzo Strozzi, Horne Museum, Marino Marino Museum, Stibbert Museum, Santa Maria, Novella, Brancacci Chapel, Fondazione Salvatore Romano, Cappelle Medicee, Galleria degli Uffizi, Galleria dell'Accademia, Campanile di Giotto, Museo di Storia Naturale, Museo Galileo, Casa Buonarroti, the Basilica San Lorenzo, Museo Casa di Dante, and more! The Firenze Card is a fully packed 72 hours of exploring to do for tourists with a map guide and free entry to some of the museums. 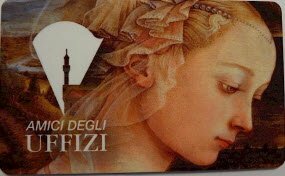 This card grants tourists entry to over 70 museums and attractions in the city of Florence with skip-the-line privileges for those annoying long queues at some of the busiest attractions and museums like the. With the 72-hour Firenze card, tourists enjoy some of the world's famous attractions and museums in Florence such as the Galleria dell'Academia, the artworks of Rembrandt, Dürer, Goya, and Rubens at the Galleria degli Uffizi, the Palazzo Vecchio Museum, the symbol of Florence and the town hall. Some museums to see are Santa Maria, Novella, Brancacci Chapel, Fondazione Salvatore Romano, Cappelle Medicee, Galleria degli Uffizi, Galleria dell'Accademia, Campanile di Giotto, Museo di Storia Naturale and many more. Tourists get to see special exhibitions and collections at these museums and even have their cards delivered comfortably to their hotels in order to start exploring Florence at their own pace and leisure. Is The Firenze Card Right for Me? The Firenze Card is right for those who would like to see the historical side of the city while saving money and time. With this Firenze card, you get to see over 70 museums and top attractions in the city of Florence. The Firenze card gets you access to see special exhibits and collections, free entry into some of the museums in the city including ship-the-line privileges to jump the annoying long lines at the busiest museums such as the Uffizi and Accademia Gallery. This Card is definitely right for people who appreciate history and new knowledge with visits to the world-famous museums in Florence such as the Galleria dell'Academia, the artworks of Rembrandt, Dürer, Goya and Rubens at the Galleria degli Uffizi, the Palazzo Vecchio Museum, the symbol of Florence and the town hall. Some of the top attractions to see in Florence with your Firenze card includes the Museum of Palazzo Vecchio, Stefano Bardini Museum, Palazzo Medici Riccardi, Fondazione, Palazzo Strozzi, Horne Museum, Marino Marino Museum, Stibbert Museum, Santa Maria, Novella, Brancacci Chapel, Fondazione Salvatore Romano, Cappelle Medicee, Galleria degli Uffizi, Galleria dell'Accademia, and many more just to name a few. If you want the card delivered to your hotel's concierge, it can be done for your comfort to enable you to start your tour of Florence from the hotel. The city of Florence, is the capital of Tuscany in Italy also known as “Firenze”. It is a popular destination for tourists, as a tourist who loves and appreciates ancient architecture, Florence City Pass gives you exclusive access to some of the cities attractions. With more than 10 million visits annually by tourists, the city of Florence offers explosive sightseeing experiences, exciting tours around the beautiful historic city center and monumental structures. Some of these historic sites include but is not limited to Palazzo Vecchio, the Cathedral of St Mary of the Flower, and palaces. This city is the home of arts, the world-famous museum Galleria Degli Uffizi houses 1/5th of the artworks from the western world. The city centre of Florence is practically an open public museum, a walk will live you with amazing sites like Ponte Vecchio, Palazzo Pitti, the magnificent Battistero (baptistery), Galleria dell'Accademia, Piazza Della Signoria, the renovated Museo del'Opera del Duomo (with its clock tower ‘Campanile'), and the Church of Santa Croce just to name a few. What the city pass gives tourists, is the ability to have your trip organized for you even before you depart in other to get the most out of your vacation. You get to save time on your trip with ‘skip-the-line' in the city's busiest attraction sites. There are no time limits on the Florence city pass, you get to visit attractions whenever you feel like at you own time. You get 20% discounts on attractions, tours, excursions, and museums. What Sightseeing Tours Are Included in Florence City Pass? The different transport options you are open to during your visit to Florence are; all public bus lines, Trenitalia Trains (within Florence) and Tramvia (Line T1) all which must be booked during your Florence city card registration. The Florence City pass does not come with free public transport options. Tourists are to book a public transport ticket during the Florence City Pass order, this would enable you to enjoy your trip with any hassles using public transports in Florence. Once you click on the public transportation option; you will receive your Florence City Pass along with a travelcard which allows you to use the aforementioned transport options valid for the duration of your city pass. All children who are 100cm tall get to ride the public transport free and every adult is entitled to take along 1 child to enjoy this benefit. The Florence city pass does not have any time limit to it (24 or 48hrs) like other city passes. That is, you get to visit the best places in Florence at your own time based on the duration of your stay in the city, an airport transfer is also included in your ticket from the Pisa Airport to Florence city. You can decide on the days you wish to go sightseeing or visit the historical monuments and places in Florence, either on weekends or during weekdays whichever works for you. What Are People Saying About Florence City Pass? Tourists often rely on reviews in order to make choices, which is why we have included reviews from tourists who have explored the Florentine City using the Florence City Pass. 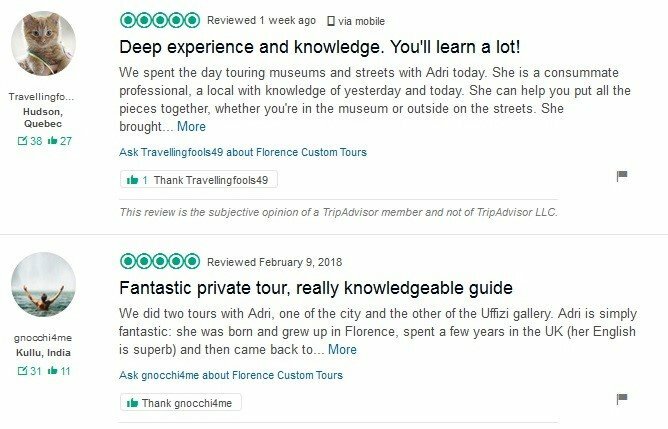 Based on reviews found on tripadvisor.com, a tourist by the alias travellingfools49 from Hudson, Quebec stated that he had a “deep experience and knowledge” after spending a day touring museums and streets with a tour guide Adri, further saying “you'll learn a lot” by purchasing a Florence city pass. Another traveler by the alias gnocchi4me also stated in his review that, he had a “fantastic private tour” which was a really “knowledgeable guide” with the tour guide Adri. She took them on two tours around the city and Ufizzi gallery. We are comparing the Duomo, Uffizi, and Accademia Pass Prices from leading online Tours and Ticket suppliers. About Tuscany City Card/Pass: Tuscany is one place with a beautiful countryside and also amazing cities people often want to visit for 24 hours such as Pisa, Siena, and Florence. You get everything sent to you by email once you apply online, without the hassle of picking your Tuscany City Pass at the airport. All her cities have some of the amazing and famous influences when it comes to Renaissance, great monuments like the Ufizzi Academia and so on in Florence. Other places like Sienna which is an ancient city and the city center is a beauty to admire from the Central Plaza (II Campo), most of the scenes from the Bond movie ‘Quantum of Solace' was shot in the city of Siena. While the Tower of Pisa is another place to be in the city of Pisa. Tuscany City Pass gives tourists full access to explore these places and experience the beauty of its cities all at once without missing a thing. The Tuscany City Pass comes with privileges like the ‘skip-the-line' which enables tourists to enter some of the most famous places and destinations, a two-way train to and from the different locations in Tuscany such as Siena, Pisa, and Florence if you intend to visit these places by train. If you decide to drive down to these places, then you get a parking spot valid for just a day in these places with the exception of Siena. The Tuscany City Pass also comes with discounts to a number of attractions in Florence. 2-way train to Pisa/Siena/Florence with attractive discounts! 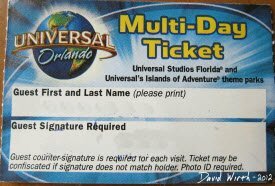 What Attractions are covered by the Tuscany City Card? What Sightseeing Tours Are Included in Tuscany City Pass? Tuscany City Pass Transport Options: The transport options available to tourists who purchase the Tuscany City Pass includes a 2-way train to Pisa/Florence/Siena or a 1-day parking spot in Pisa and Florence excluding Siena, you can buy a parking ticket in Siena. The pass also allows tourists to enjoy Hop-on Hop-off bus tour. 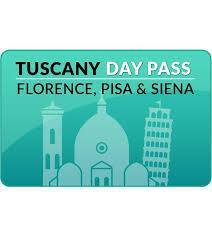 Tourists can also purchase their Tuscany City Pass by car or train travel as their options. Tuscany City Pass Validity: The Tuscany City Pass is valid for 24 hours of free unlimited sightseeing, tours and walks in Pisa, Siena and most especially Florence. This means free 2-way train/car to/from Pisa/Siena/Florence. We are comparing the Tuscany city pass Prices from leading online Tours and Ticket suppliers. What Are People Saying About Tuscany City Pass? According to reviews by some tourists who have experienced the beautiful Tuscan cities, they deemed it fit to leave some positive reviews on tripadvisor.com. Andrew an Australian tourist stated that it was “the best tours” he ever had, further saying he visited the Tuscan valley and so many more. 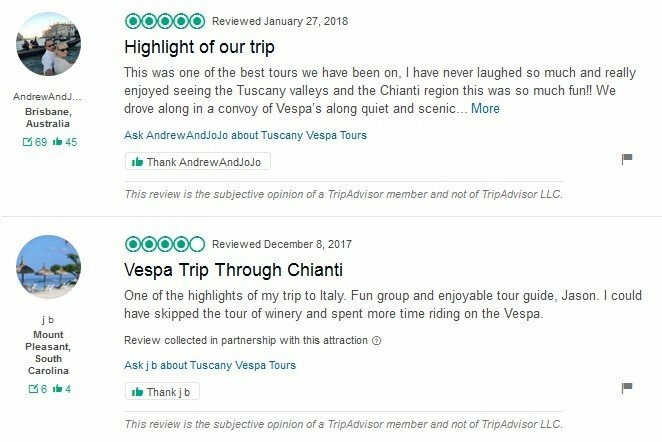 JB from South Carolina, USA said he enjoyed the Vespa trip through Chianti and that it was “fun group and enjoyable tour guide”. 1. Benefit of the card: Florence's multiple day tickets are a very affordable option for moving around the city. For a fixed cost, you will be able to travel throughout the city by ATAF buses unlimited times to explore all the attractions you want during your stay. 2. Transport valid: All multiple day tickets are valid for use on ATAF buses in Florence. 3. Card price and validity: There are three main options available for tourists in Florence. A single day or 24 hour ticket costs €5, a 3 day bus ticket costs €12 while a 7 day bus ticket costs €18. All tickets will be valid from the time they are first used. You will also need to write your full name on the ticket to ensure it is valid. 4. Online purchase: ATAF multiple day tickets are not available for purchase online. However, you can easily find them at most newsstands, bars and tobacconists in the city.